#BCGO Fall 2017 was a six-city tour across the province that facilitated introductions between companies looking for B.C. tech solutions and local businesses and entrepreneurs. BC companies had business opportunities brought to them so they could grow their businesses where they live, and presenters gained access to BC tech around the province. Curious about the challenges that were presented? 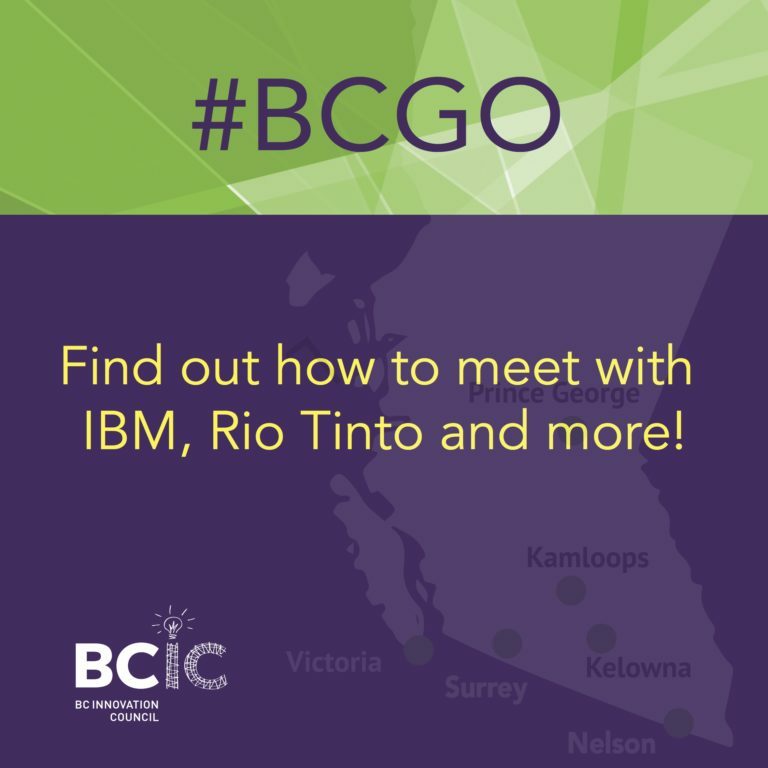 Interested in presenting your business challenges during a future #BCGO Tour? Let us know by emailing connect@bcic.ca. Did you miss #BCGO in your city? Catch up on the news by reading the press release for each city below. BC Innovators: Entrepreneurs, researchers and companies looking to expand their network and find opportunities in new markets. Industry Organizations: Established industry leaders and government stakeholders with defined business challenges who are looking for innovative solutions.